Feeling nostalgic about your old school days? Want to get a copy of your old school photo? Then here's the place to find it. We have the largest collection of old school photos in the UK. FUTURE FIRST ESTABLISH ALUMNI COMMUNITIES FOR SCHOOLS - REGISTER FOR YOUR OLD SCHOOL HERE. If you ever wondered whether your old school photo still exisited then this is the place to find out. My Old School Photo has access to over 70,000 images covering over a hundred years of school photography (dating back as far as 1884). 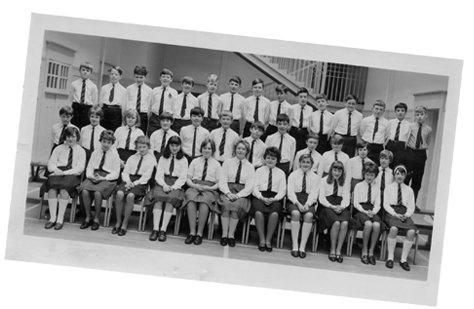 The collection also covers some 7,000 schools and colleges so it's a good chance that if your school had a group school photograph taken, then it will be in our collection. To start searching for your old school photo just click here and then enter the name of your school and the year you think the photo was taken, and the database will do the rest. Start searching. Go to our "Find your School" page and see if your school is in the archives. You just need to click on your school and you will be taken through to a search page to see if a school photograph is available for your year. We have partnered with both Gillman & Soame and the Greater Manchester County Record Office (Panora Collection) to provide the largest collection of old school photographs in the UK. We have also linked to Tempest Photography, another schools photography company. If you have any questions about the old school photos or would like us to find a particular school then please give us a call, send us an email or fill out our contact form here.